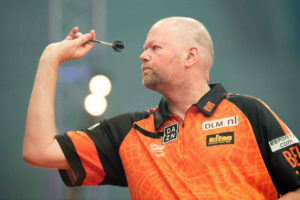 Betting tips, enhanced odds and preview of night nine of the Premier League darts. It’s four wins apiece for these two in this year’s Premier League, but Mensur Suljovic leads Daryl Gurney in the standing having lost fewer times. He’s the marginal favourite for this clash, which is understandable given he’s average 96.89 since the beginning of 2018, compared to the Englishman’s 95.04. however, the head-t-head is slightly in Gurney’s favour – 7-5 – so it’s difficult to separate the two, making the draw at a big price the most appealing bet. Neither of these two have enjoyed a particularly fruitful Premier League, culminating of disappointing evenings yesterday. 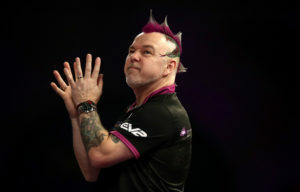 Gerwyn Price missed darts for a draw against Smith, while Peter Wright averaged just 87.34 in his 7-1 defeat to MVG. They have just four victories between them, they’ve only lost five times as none has drawn more matches then either of them. Furthermore, Snakebite drew six matches last season, including his clash with Price, so a share of the spoils is the selection again. Rob Cross threw away a 5-1 lead last night, but he has the perfect opportunity to bounce back against a contender tonight. Indeed, it’s not surprising no contender is still yet to win given the gulf in quality, and that’s unlikely to change here. Jeffrey de Dwaan has done very little of note since reaching the World Matchplay semi-finals last July, losing his last seven matches against Premier League players, so Cross looks banker material. Had Gerwyn Price made his darts, then Michael Smith would have drawn last night. It wasn’t a satisfactory performance though as he averaged just 94, even admitting afterwards that he isn’t playing well. James Wade, on the other hand, is playing well as he averaged 103.35 yesterday, despite drawing. Given their respective form, we’re surprised to see Wade priced up as the outsider, especially given he’s won 68% of his matches compared to Smith’s 53% this year, while he also leads their head-to-head a staggering 12-3, including 11 of the last 12.